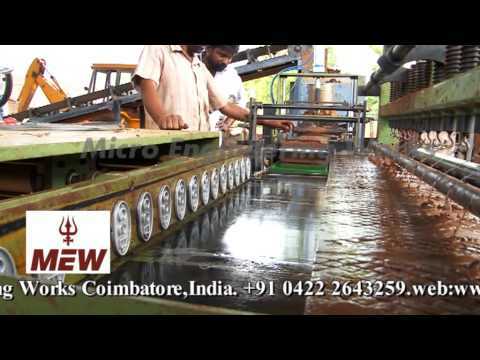 Welcome to Micro Engineering WorksManufacturer & Supplier of Construction EquipmentsThe company was incorporated in 1984 at Coimbatore. We are an ISO 9001:2008, NABCB & ICScertified company. Our base is spread across the globe. We are well known in the market for our Easy payment modes, Wide distribution network, Efficacious after sales services & experienced workforce. Our product list includes Fly Ash, Paver Blocks, Hydraulic Concrete making, Vibro Forming & Construction Machinery. We provide Earth Rammers, Hydraulic Concrete Mixers & Vibro Forming Tables that are widelyacclaimed in the market. Our Industrial Hydraulic Concrete Block Making Machines are a class apart. Along with that we offer Interlock Wall Block Making Machines at competitive prices. Fly Ash Brick Making Machine are the USP of our organization. We also manufacture Paver Block Making Machine that are fabricated from premium grade rawmaterials. We are instrumental in offering Automatic Fly Ash Brick Making Machines of rotary and stand type. Our machines are manufactured using superior quality raw material and latest technology. These machines are extensively used in construction and civil industry for making bricks of varied sizes from fly ash. Our range is known for its highly advanced quality and finest performance. We are manufacturing and exporting Automatic Concrete Hollow Bricks Paver Blocks Making Machine, which can produce solid blocks, hollow blocks, paver blocks. Our range is known for is sturdy construction, durable quality and robust features. Our range is available at market's most leading price. The function of the Extrusion machine is to accept the prepared clay and form it to the required shape. Normally, the clay is fed to the top section of the Extruder where the final mixing of the clay is done. The clay is then compressed and shredded before falling through the vacuum chamber where air is removed, thus making the clay much harder and tougher, improving the end product. After de-airing, the clay is compressed into a strong mass and extruded as a continuous column. We are manufacturing and supplying high quality Clay Brick Making Machine and production capacity 20000 bricks per shift. Our clay brick making machine leverage high performance resulting in smooth construction of the material.